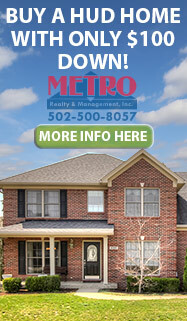 Louisville Real Estate | Louisville MLS | Homes For Sale Louisville Kentucky | Metro Realty and Management | - Metro Realty & Management, Inc.
GREAT Location! Spacious and Updated Cape Cod in Hikes Point! 3 Bedrooms and 2 Full Baths. Updated Kitchen with LOTS of Cabinets Large Center Granite Area for Entertaining Opens to the Family Room. Harwood Floors, Carpet and Tile Throughout. First Floor Laundry. The Master Suite is Upstairs and has a Stand Alone Shower and Tiled, Jetted Tub with Double Sink, Granite Vanity and a FULL Unfinished Basement that is Ready to be Finished or Storage! Fenced in Back Yard and New Roof in 3/2015! Newer Windows, Maintenance Free Exterior! Call Today! We respect your online privacy and will never spam you. By submitting this form with your telephone number you are consenting for Bryan Wimsatt to contact you even if your name is on a Federal or State "Do not call List". Listed with Metro Realty & Management Inc.